Despite being exhausted at the conclusion of the event, the Rotaractors enjoyed themselves, relishing the rare opportunity to be acquainted with people from another country and learn about cultures they have not previously known. 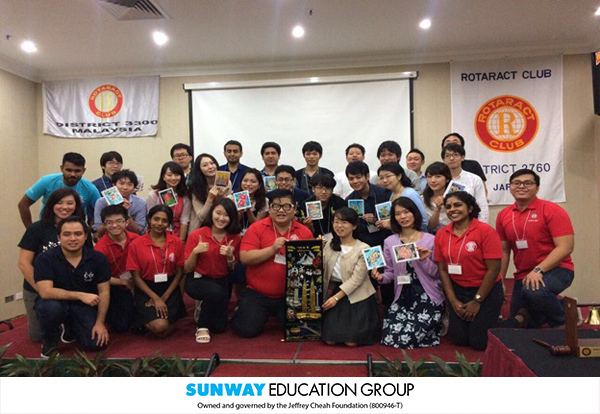 Despite the language barrier between Malaysian and Japanese Rotaractors, the participants made the effort to forge new friendship and build camaraderie between one another. This event was a success as the objectives were achieved: to expand social networks, and to build camaraderie with Rotaractors from other countries. It is hoped that this bonding session would pave the way for a collaboration with Rotaract clubs from other countries for future events and projects.